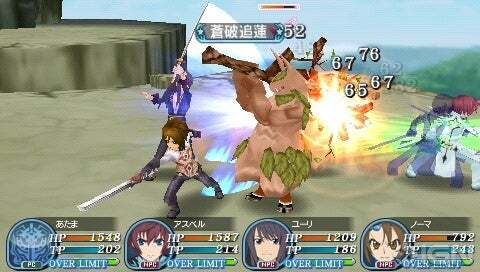 The third chapter of Namco Bandai's PSP component to the Tales of the World saga, Tales of the World Radiant Mythology 3 once again features crossover appearances from the characters of multiple Tales games -- players can look forward to over 80 characters, including Tales of Graces' main character Aspel. I forgot to post this earlier when it was released. There is no patch so far and i still thinks that we should enjoy other games before the patch released. The game will surely be patched but i feel like kind of tired with patched games, once you upgrade into a upgraded firmware, the previous games that is pre-patched savedata will corrupted and have to start over again from scratch. Is there anyway to save the pre-patched game savadata? Copy the ms0/PSP/SAVEDATA folder of your PSP onto your PC's hard drive. Then restore after upgrade.